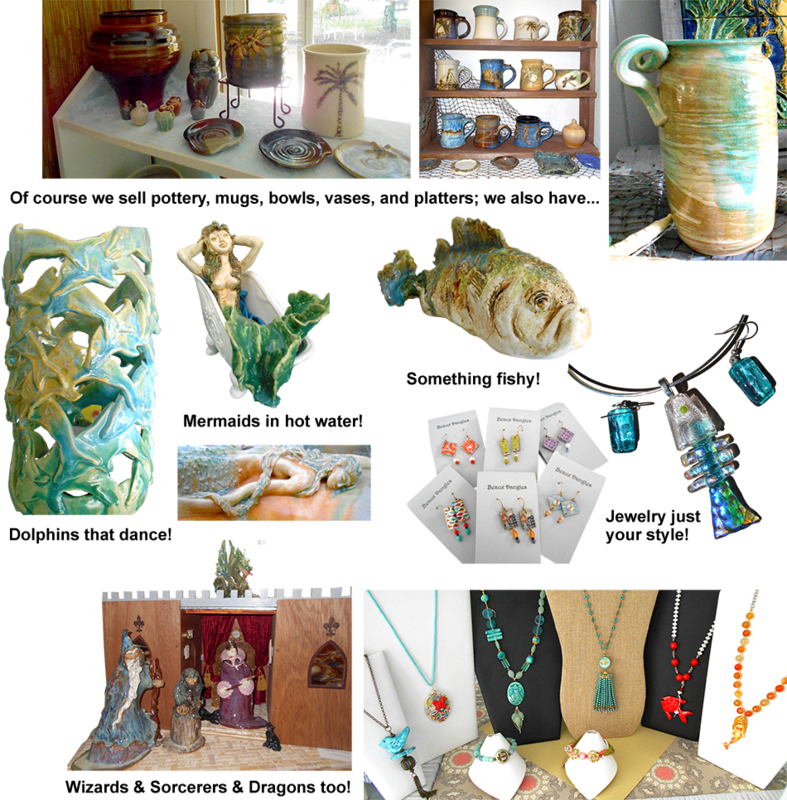 Our artists create clay objects, both practical & fanciful, handcrafted jewelry and wall art. Come see what's new! We are open Tuesday, Wednesday, and Thursday, from 10:00am - 2:00pm. Sherry O'Connell, also known as the Mermaid Lady, has won many awards for her clay sculptures. She moved to Englewood from Key West, where the love of ceramics began. 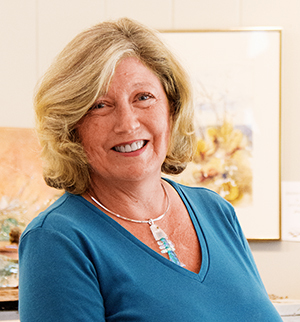 Sherry feels fortunate to have studied with master ceramicist Jay Gogin for 9 years at Florida Keys Community College, where the entire campus features student-created ceramic murals and artwork. She managed The Foundation Art Gallery in Lahaina, Maui for renowned bronze whale and dolphin sculptor Randy Puckett before moving to Florida. Sherry will continue to hand-build her sculptures while attending the gallery.